I’ve been waiting patiently. Almost missed my BFN’s (best friend neighbor) birthday surprise. But, just in the nick of time, Mr. Postman came through. I live in a tiny town and everyone except me knows him by name. I think it’s Ron. 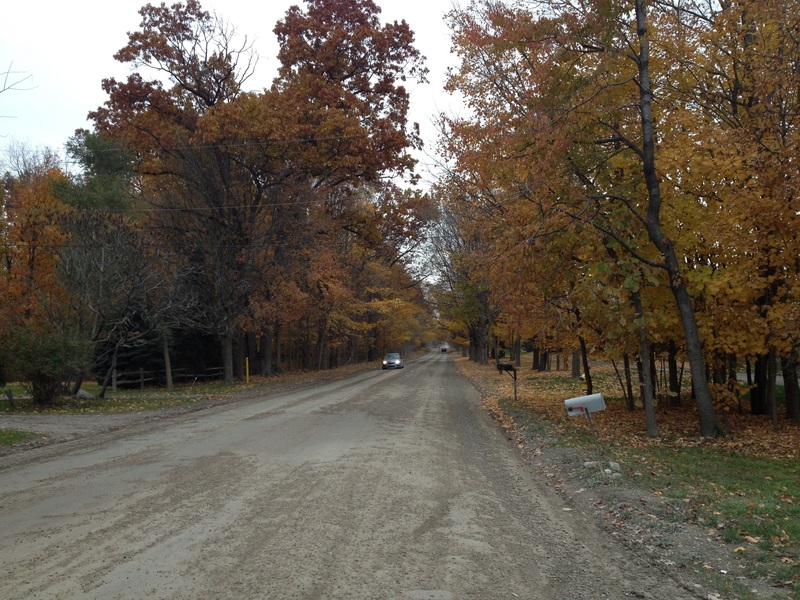 Love my dirt road even though Al refuses to wash my car anymore because I can’t help but drive down it. All the bright scarlet maple leaves have blown away after a windy storm, but’s it’s still so pretty. I can’t get used to the fact that this is my town. And that these are my books. Every dream I’ve ever had and a few I never even considered has come my way. Well, there’s just one more thing. (There always is.) I want to finish and publish the book I’m working on now. It will happen. Just like everything else did, in its own good time. 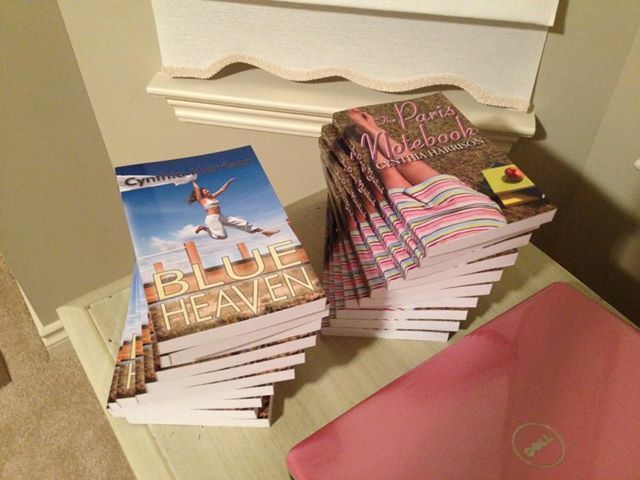 After the books came, I quickly signed and wrapped a copy of Blue Heaven for BFN Jan. Her birthday was yesterday. We were both in the middle of cooking dinner, but I turned everything off for a sec and ran across the back yard to hand it to her. She took it and felt it and said “Is this your new book?” Jan has been reading my books since they were just manuscripts on typing paper. In fact, she read a few that were so bad I recycled them instead of trying to mend and publish. So of course I gift her my print books, even though she really needs a Kindle! In answer to Jan’s question, I said “You’ll have to open it and find out,” and then flew back across the yard to my own kitchen. How was the book fair? Hi Sharon, It’s not for another week. Day after Thanksgiving! At the time I signed up, I had no idea. Still I think most of the craziness will have died down by the time of the book fair.